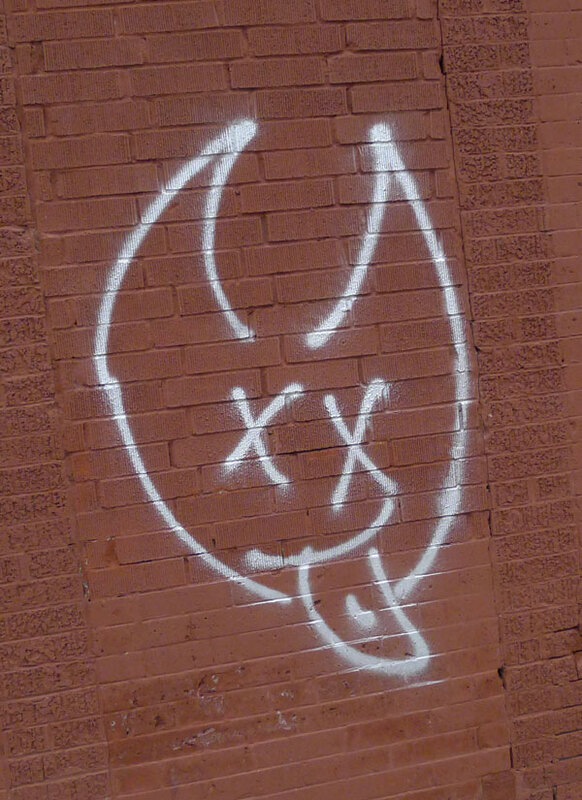 Graffiti on wall in Red Hook – the ‘devil’ hurricane passed through our area leaving destruction in it’s wake, followed by a massive snowstorm. 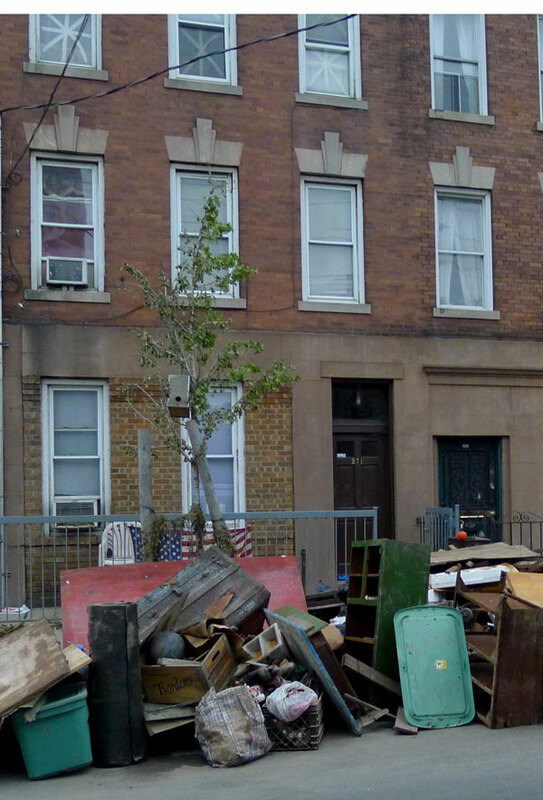 It is almost 2 weeks since Hurricane Sandy hit the New York area devastating some parts like Red Hook, Rockaway and Staten Island and leaving others untouched. Some of us lost power for a week, other areas still dark after all this time have no heat or light, people have no food, elderly people are stranded on high floors of apartment buildings, stores are shuttered, there is no phone service. 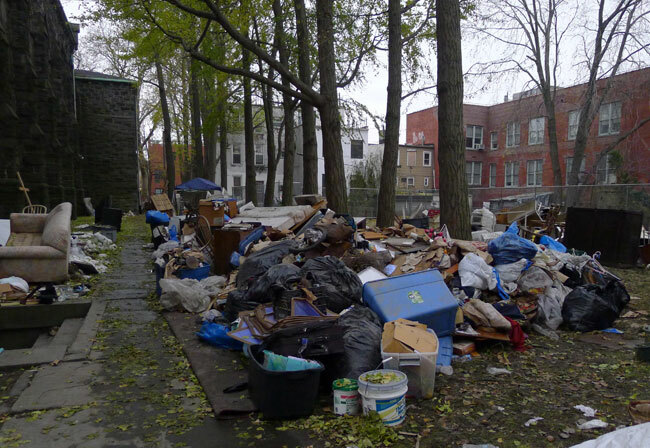 Many people are left homeless, their houses destroyed by flooding. 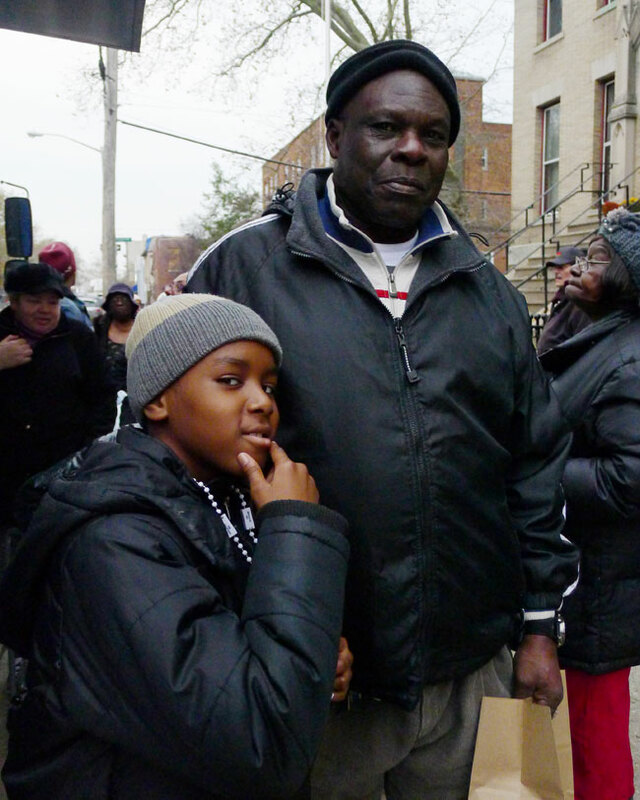 Father and son outside a church today in Red Hook where food trucks are giving out much needed hot meals. 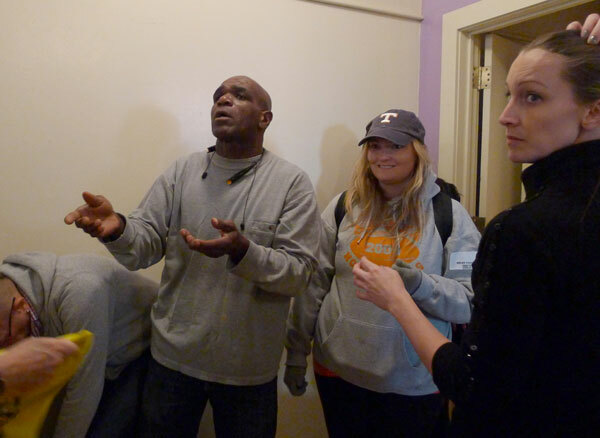 Alfred organizes volunteers at the grass roots community center run by GOLES (Good Old Lower East Side). Volunteers from all over are helping out, distributing food, clothing and essentials at churches and community centers, making sandwiches, clearing debris, knocking on doors to see if people need help, donating supplies like warm blankets, batteries and flashlights, food and clothing. 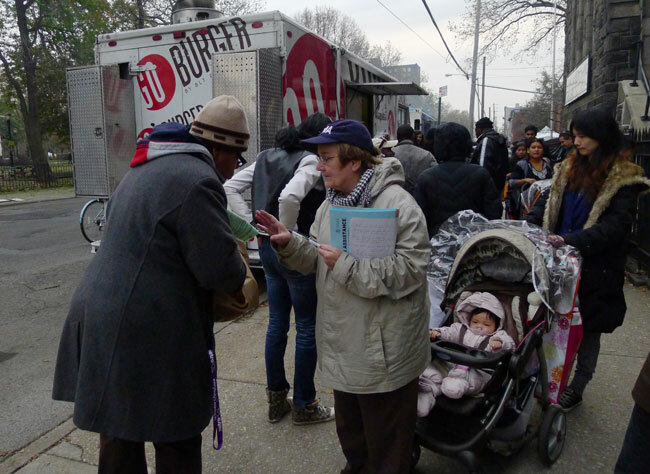 There is a line to talk to the lady from FEMA trying to help Red Hook residents. People are amazingly patient. 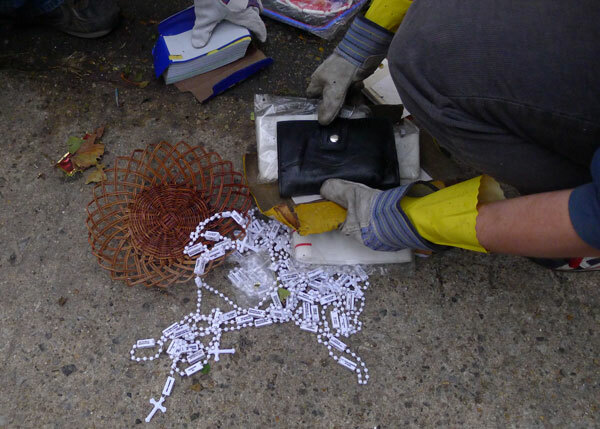 A huge pile of soaking wet debris we helped load into a dumpster today in Red Hook. Furniture, clothes, children’s toys, books .. 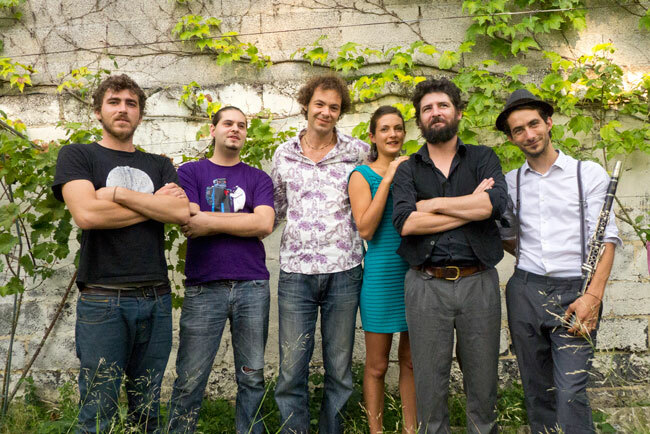 I just photographed the band ‘La Grande ZaZa‘ in my cousin’s backyard in Montpelier. 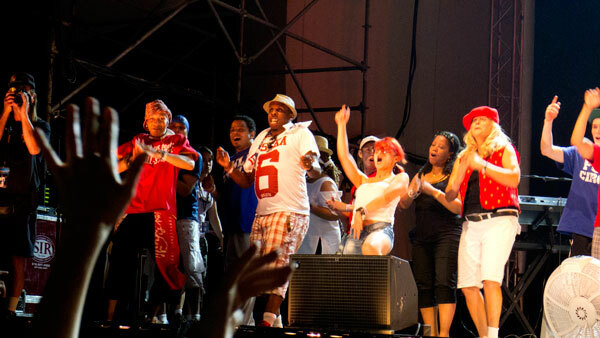 They are an eclectic mix accordion, stand up bass, clarinet, guitar, drums and singers. 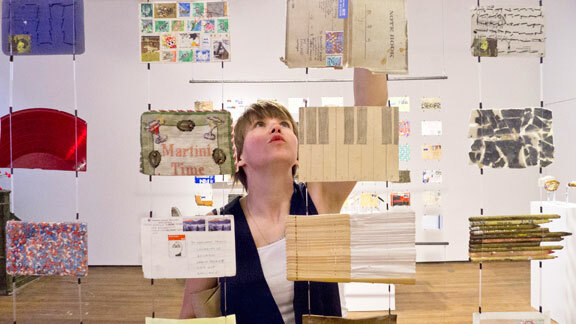 Trés Francais – summer, grapes on the vine, few glasses of wine ..
My friend Finnish artist Riita Ikonen has a show of her special ‘postcards’in the grand tradition of mail art at the Christopher Henry Gallery in NYC until the 7th October. I have been collecting postcards myself since I was 12 – everything from ‘Paris in the Flood’ circa 1908, to British seaside ‘dirty’ postcards to American 1950’s diners to 40’s pin ups. My grad show at the London College of Printing was a collection of my work printed postcard size displayed on a revolving postcard rack on a small sandy beach with a deck chair. 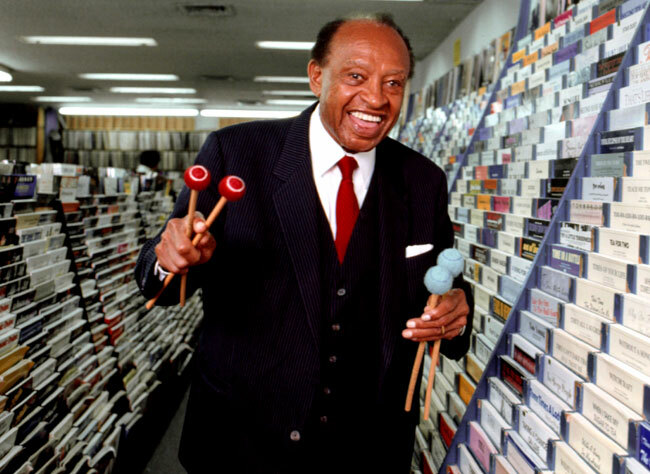 I first went to Colony in the late 80’s, the Daily News commissioned me to photograph jazz musician Lionel Hampton at what was his ‘ favorite place’ in NYC. 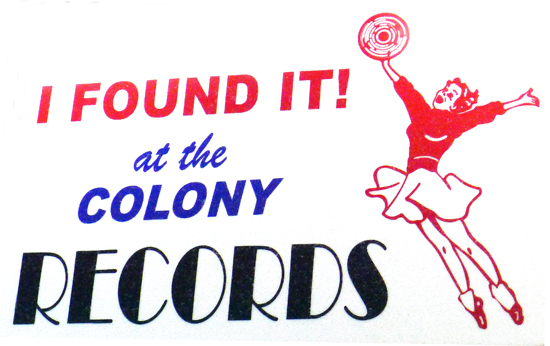 It was an amazing store full of sheet music from all genres of music, records, memorabilia. I have been back many time over the years to search for obscure music like psychedelic band ‘The Seeds’ and more recently Django Reinhardt sheet music -which is when I found out that this historic music landmark is closing. 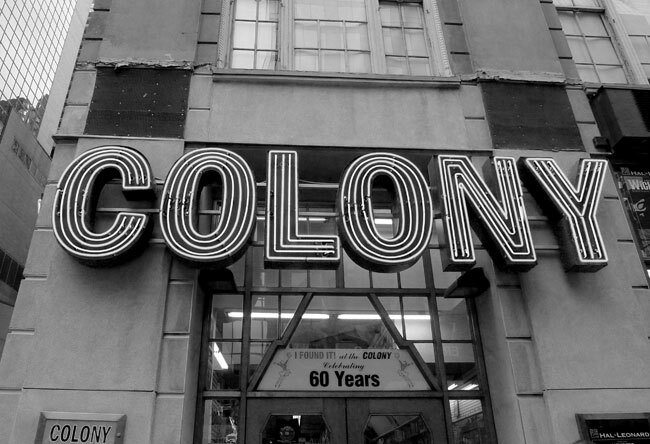 Colony has been in the Brill building, corner of Broadway and 49th Street, since 1971, Owner Michael Grossbardt, son of the original owner Harold S,”Nappy” Grossbardt who opened the store in 1948, tells me they still have the same phone number . 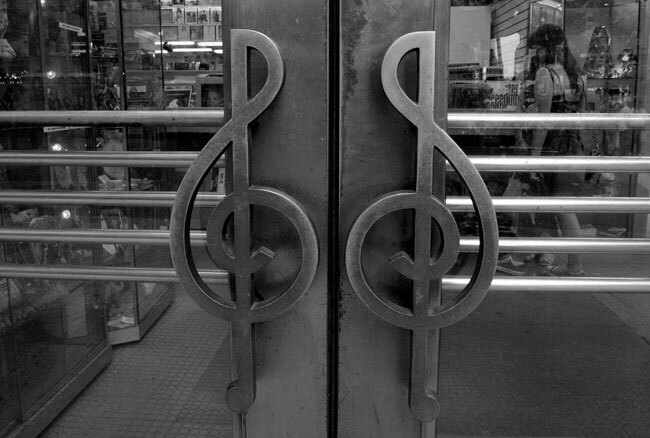 It is the place where musicians go to research music and songs and has one of the nations’ largest collections of sheet music – the staff know their stuff, full of stories and good advice. Neil Diamond (who I recently shot at Jones Beach) comes in all the time, Michael Jackson had been coming to the store since he was a kid, Aretha Franklin, Carole King, Darlene Love, Woody Allen, Tony Bennett, all frequented the place. Sinatra, recording upstairs in the Brill, would send down for his sheet music, Elton John who ‘knew his music’ would come by and spend thousands in cash on records, he bought two of everything one for his UK home and one for his US home. The Blues Brothers started here when John Belushi and Dan Akroyd came in and said they wanted to start a blues band and asked for for song advice … so it goes on, history in the making. 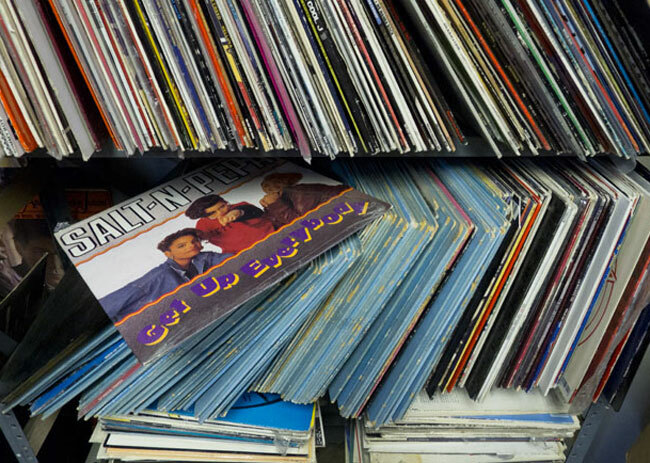 The dusty basement is full of records box sets, 12″ singles ( my Salt n Pepa cover), rare 7″ singles for jukeboxes, classical, jazz, Beatles, Sinatra, show tunes, hip hop. Michael plans to have an online store and sell them there. Meanwhile the store will only be open for another few weeks. 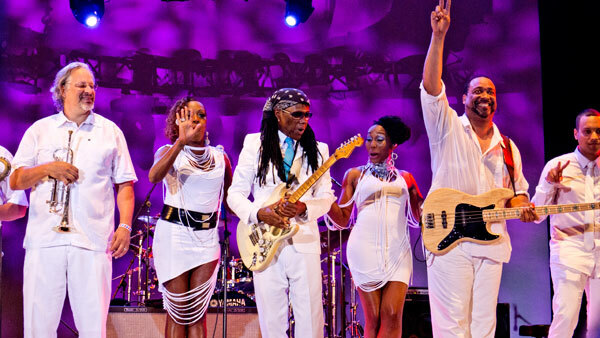 Last night Nile Rogers and the Chic Organization played a free concert at the Lincoln Center Plaza in NYC- he told us that he had written many of those famous songs in apartment 28b right there across the street – “Everybody Dance” everybody did all night long. 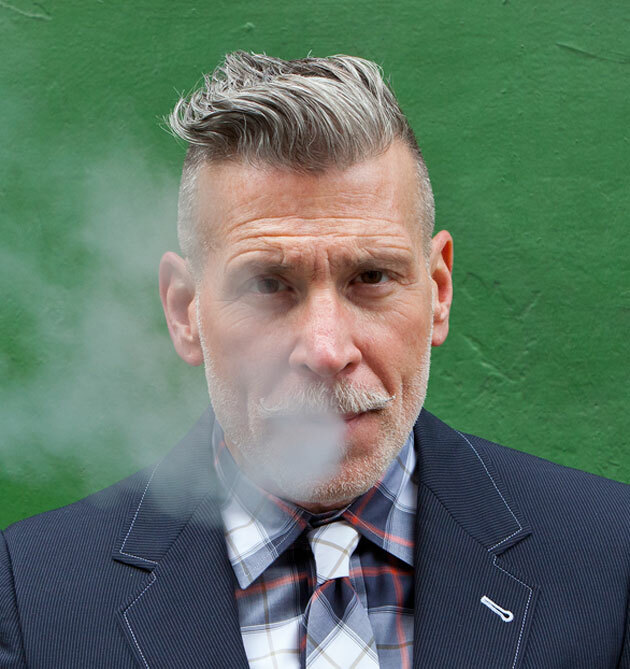 As I photographed the very stylish Nick Wooster for the cover of Dutch magazine ‘Code,’ guys were coming up to him on the street saying ‘I love what you do’. 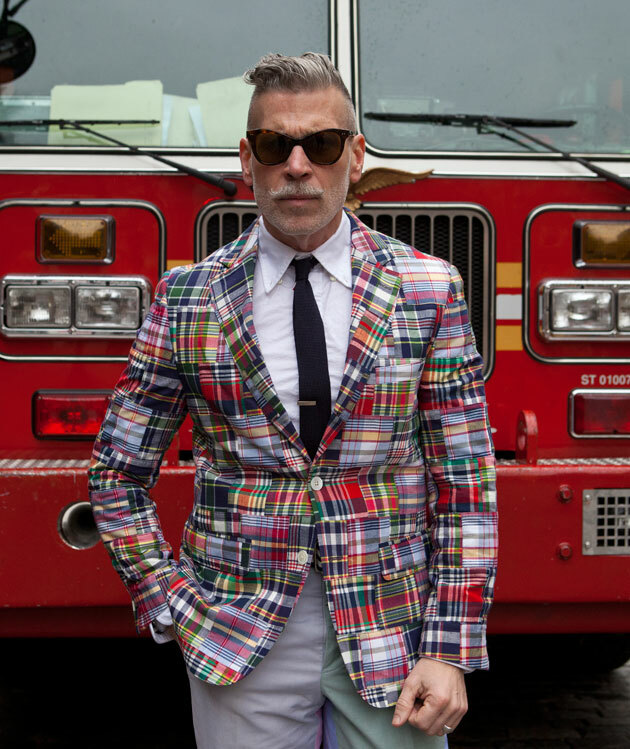 Nick is a real gentleman with impeccable taste and countless blogs dedicated to his perfectly fitted suits, love of all things camouflage and style. Having worked for a string of high end retailers like Neiman Marcus, Gilt and Barneys, he is taking on menswear for the masses at J.C. Penney. One of my own prize possessions is a vintage jean jacket from Sears Roebuck – perfectly styled with red tartan lining – I think Nick will bring back affordable style to the malls of America. 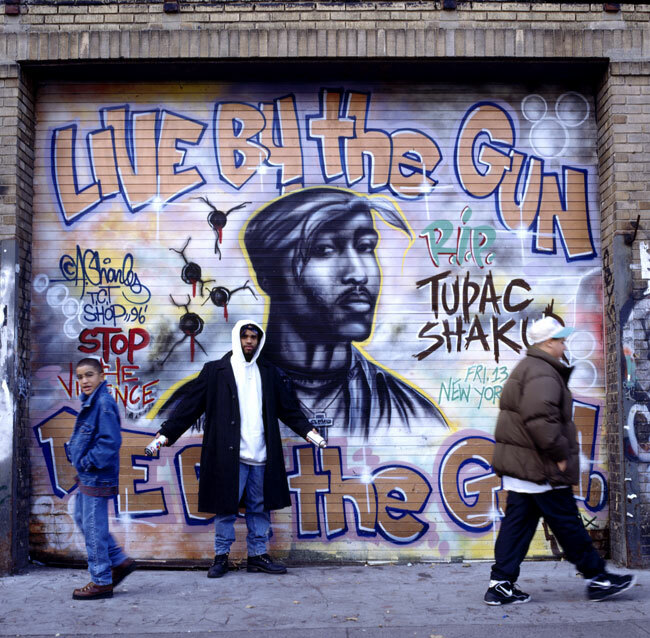 Andre Charles painted this mural on Houston Street the day that Tupac was shot in 1996 ‘Live By The Gun – Die By The Gun’. If people are permitted to have lethal weapons they will use them. 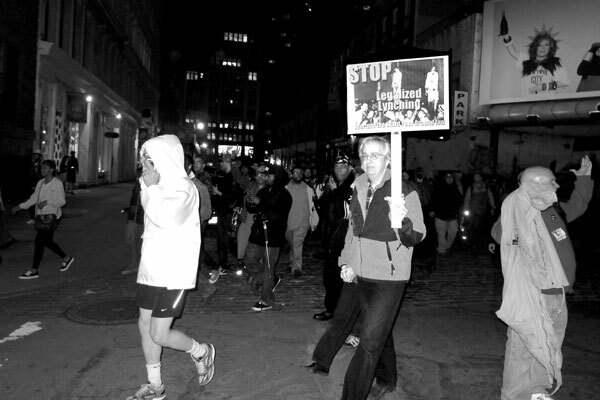 The murder of 17 year old Trayvon Martin in Sanford Florida has brought up the ugly face of racism in America. 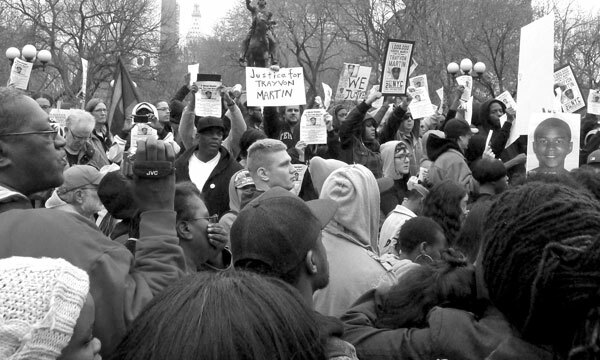 Yesterday I went to the Million Hoodie demonstration in Union Square. The day he was killed, Trayvon Martin had been watching the NBA All-Star game at his father’s house and had stepped out to buy a bag of Skittles. I have been to Sanford Florida it is typical small town America, the Amtrak railroad runs though it. It does not surprise me that racism is present there. The present police chief, Chief Lee, has been on the job for 10 months. The previous chief was forced out after an outcry over the beating of a black man in downtown Sanford by a white man who is a police officer’s son. The police did not arrest the man, even though the beating was captured on video. The police apparently could not arrest Zimmerman because of Florida’s controversial 2005 Stand Your Ground law, which allows people to shoot anyone they believe is threatening them. 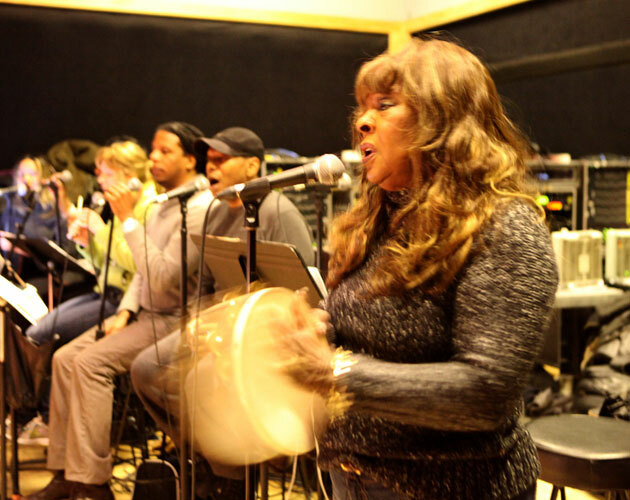 Last week I went to a rehearsal for the Motown Tribute show at SIR. 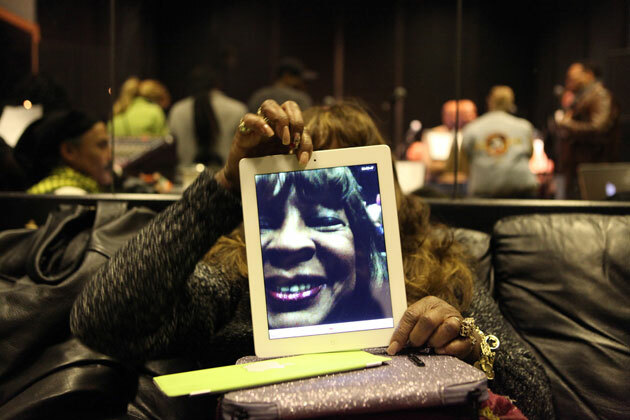 In a small studio I met Martha Reeves – one of my all time favorites- and heard her singing Heatwave and Dancing in the Streets right there. Those songs were anthems for my teen years in London. 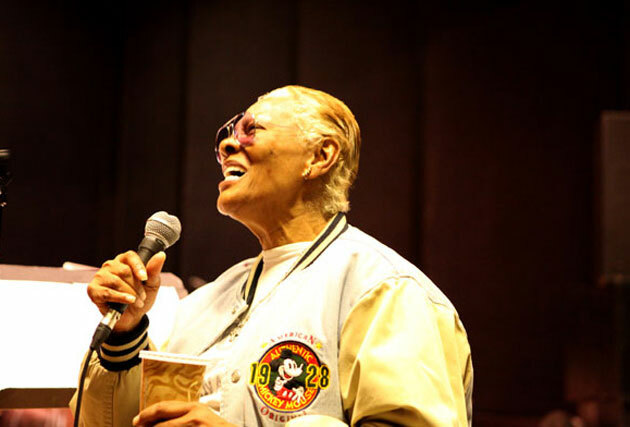 Ms Dionne Warwick was rehearsing that same day and Melba Moore – soul divas – and I was there to shoot them. 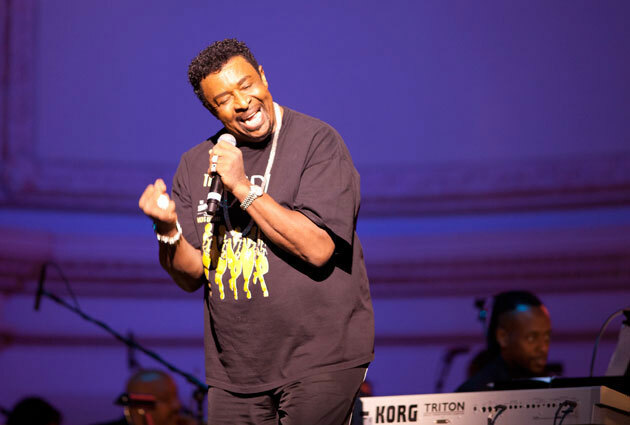 Next day at Carnegie Hall I heard Dennis Edwards from the Temptations – an amazing voice sounding better than ever -he was rehearsing with Boyz to Men. 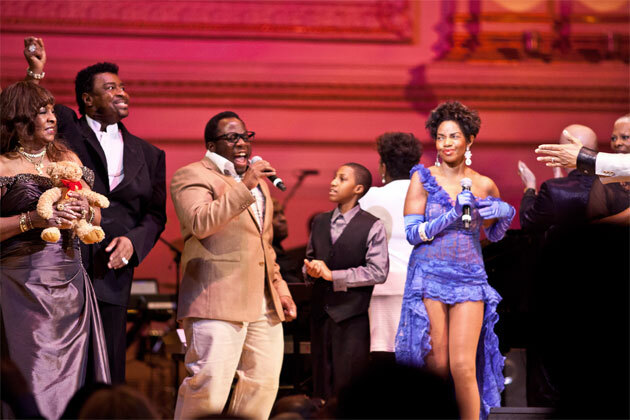 Came back later for the show -the musicians looked fine and the show was a sold out success – an 11 year old kid from the Apollo sang a Michael Jackson song and stole the show.